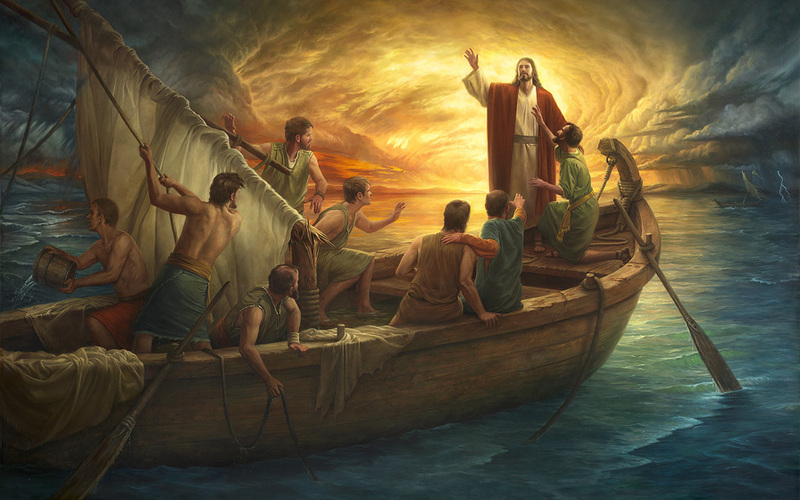 A powerful example from the Holy Bible that has helped me is the account of Christ’s apostles who were on a ship in the Sea of Galilee when a great storm arose. Christ was asleep in the bottom of the ship. The apostles fearfully came and awoke the Lord saying, “Master, carest thou not that we perish?” (Mark 4:38). Christ arose and rebuked the storm saying, “Peace be still.” His reply to the apostles was, “Why are ye so fearful? How is it that ye have no faith?” (Mark 4:39). On another occasion the apostle Peter saw the Savior walking on troubled waters. Peter desired to come out to the Savior. The Savior said come. 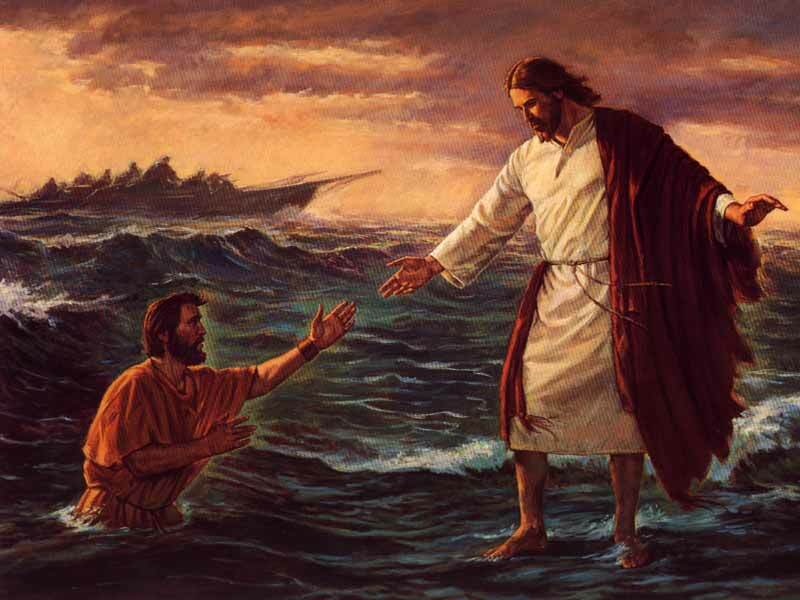 Through his trust in the Lord, Peter stepped on the water and began walking on the water towards the Savior. As he began walking, he took his focus off of the Savior and “when he saw the wind boisterous, he was afraid; and beginning to sink, he cried, saying, Lord, save me. And immediately Jesus stretched forth his hand, and caught him, and said unto him, O thou of little faith, wherefore didst thou doubt?” (Matthew 14:30-31). The key here is that Peter took his focus off of Christ and began to fear. When I focus too much on the seeming wind and waves of fears and anxiety, I feel more unsteady and begin to feel as if I’m sinking. When I put my focus and center back on Jesus Christ, and trust Him, I don’t need to fear the “storms” because I’ll get through them with His help. He calms my personal inward storms. Sometimes I feel like Peter. When I keep my focus on Jesus Christ and hope in Him, things are more manageable. When I start paying too much attention to fears in or around me or too much on worries, the future, the past, etc., there is more fear and uneasiness. Remembering to keep my focus on the Lord and His power and redeeming grace and “power to guide the future as He has the past” is so important for internal peace – peace that helps calm the internal storms and uneasiness (LDS Hymnal pg. 97 “Lead Kindly Light”). When I settle my thoughts on the Lord’s words, thoughts of His power, peace, strength, and desire for me to be happy, then the storms become calm. It also may be that the storm is still there for a while, but I’m able to deal with the storm and have peace during the storm because I put my focus on and trust in Christ. I know He is there to support me and you. “I can do all things through Christ which strengtheneth me” (Philippians 4:13). It is true. The words from one of my favorite hymns says, “Whether the wrath of the storm-tossed sea or demons or men or whatever it be, no waters can swallow the ship where lies the Master of ocean and earth and skies. They all shall sweetly obey thy will: peace, be still; peace, be still” (LDS Hymnal pg. 105 “Master, the Tempest Is Raging”).